Prairie Artisan Ales | Beer Apprentice - Craft Beer News, Reviews, Interviews and Info. Hello everyone. Thanks for stopping by to read another craft beer review. 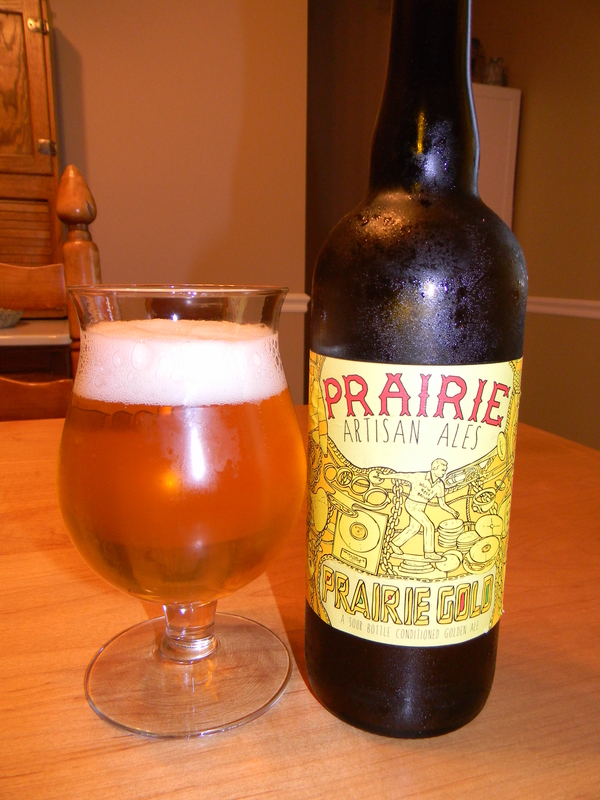 Today, I’m going to be trying the Prairie Gold produced by Prairie Artisan Ales located in Krebs, Oklahoma. This will be my first time reviewing a beer from Prairie Artisan Ales. I’ve heard nothing but good things about them, so I’m kind of excited about it. Let’s get to the website, prairieales.com, and see what they have to say about this particular brew. Sounds like my kind of beer!!!! This beer came in a 25.4 oz. bottle and it had an ABV of 6.5% according to the label. It poured a hazy, yellow/golden/orange color. A well sized, fizzy white head was formed from an easy pour. It dissipated rather quickly and little to no lacing was left on the sides of the tulip. I saw quite a bit of sediment floating about the liquid as well. The nose smelled of soured lemon and grapes with some excellent musty funk involved. Bready and yeasty tones along with some grassy and floral tones as well. This thing was very well balanced and harmonized. I liked the aroma for sure. The taste also had a good deal of lemon citrus and soured grapes. Very white wine like. A slight acidity was present, but definitely not enough to distract. Some grassy tones and a bit of yeastiness actually helped pull it back a tad. The mouthfeel was medium bodied. Crisp, bitey, sharp and dry. The carbonation was fairly lively and a very nice amount of flavor was left behind on the palate after each sip. Well, aside from the appearance I thought this was a very nice, solid and good beer. It was properly sour and tart for a wild ale I thought. It was rather complex too. The drinkability was good and I definitely wouldn’t mind sharing this beverage with friends. It seemed like it would be a great brew for the Springtime too. With that being said, give the Prairie Artisan Ales Prairie Gold a try if you see it and let me know what you thought of it.